People often ask about moving hives. How far should I move it and what about swapping my hive from the back yard to the front? Here is a little video on moving hives and relocating them to a completely new area. 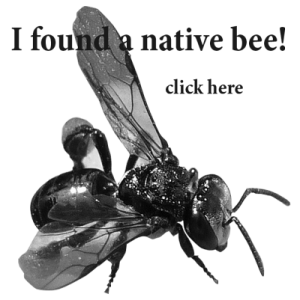 Native bees can cope a lot better than honey bees when being moved in transit. Of course when moving hives you want to keep your box at a reasonable temperature (i.e. don’t leave it in your car for long periods) and be mindful of how they are feeling inside the box. Do not bash the box around like it’s a piece of cargo – be gentle to give your bees the least amount of stress on their way to their new location. Moving hives should be an easy job as long as you maintain the hive’s worker bees. Moving the hive within your yard should be done short distances at a time to ensure the worker bees can find their way home. 300-500mm a day is the nice way to go about it. For relocation to a new area your stingless bee hive should be closed up using some fly screen over the entrance the night before or early morning before the worker bees are out and about. 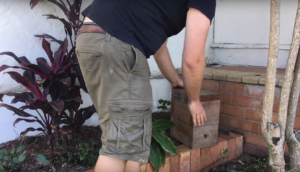 If you seal your box with a screen to move your stingless bee hive they will be fine inside. Once in their new spot try to open the hive in the morning to give the bees a full day to explore their new area. Removing bees from a water meter.